Last Sunday we visited Tsurumi Covenant Church in Yokohama. 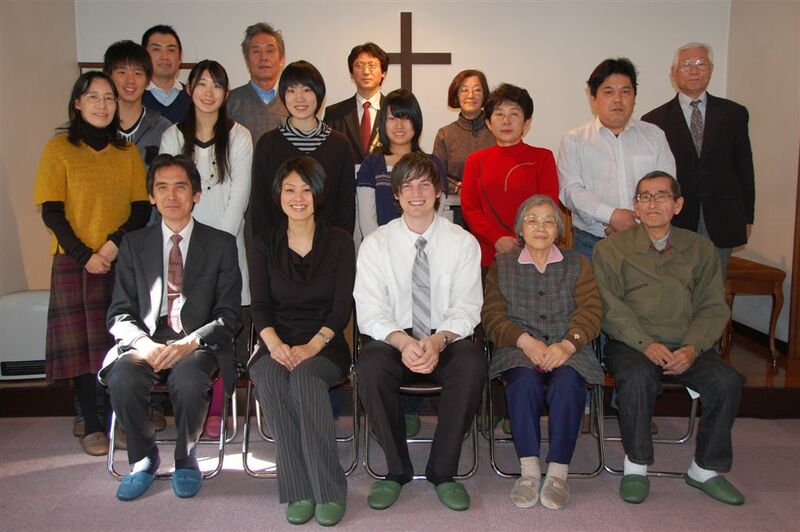 It is currently pastored by the director of the Covenant Seminary in Tokyo who is sitting to the left of Miho in the first photo and his wife standing behind him. 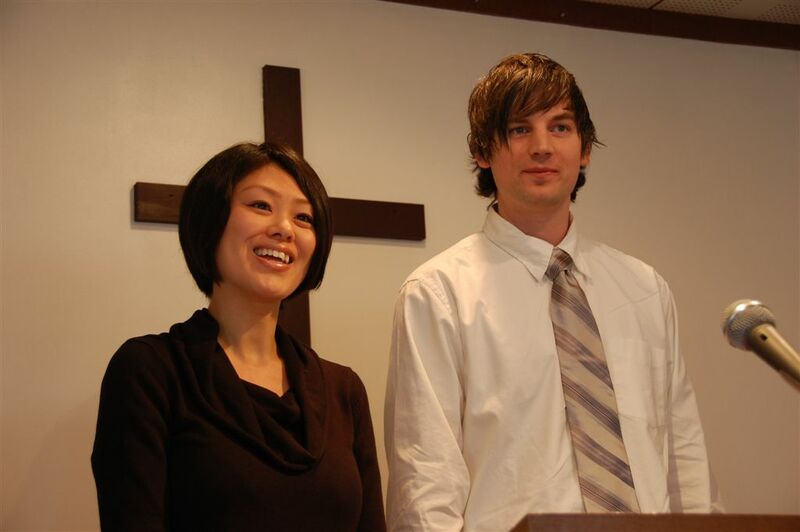 The church was passed onto them from the previous seminary director and his wife. The greatest frustration that they have is that the necessity to reside on the seminary campus hinder them from being present in the local community and effectively evangelizing to them. The church is a two-story building where the upstairs is the sanctuary and the downstairs is the meeting space which used to be used as a parsonage. We shared our testimony and vision during the service, which was a lot of fun. 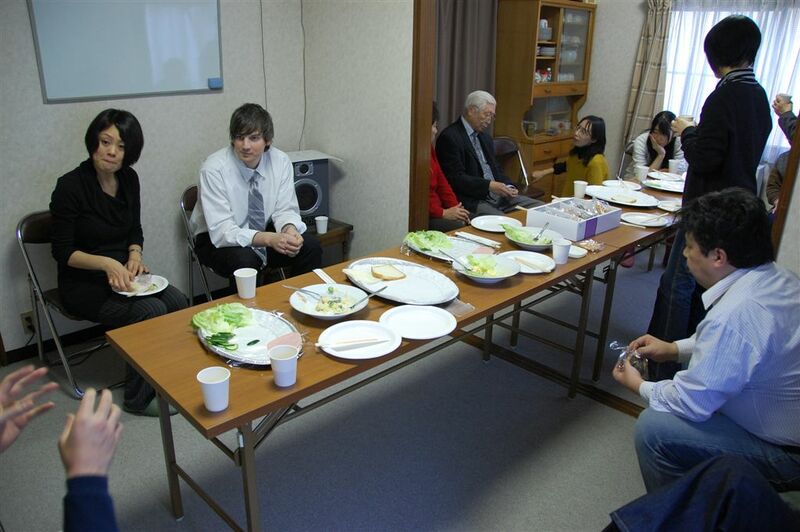 After the service, they held a special lunch time over sandwiches to welcome us and to get to know us better. After they introduced themselves, they held a Q&A session to ask us any questions regarding our personal life and future ministry in Japan. They were super warm and eager to have us there. Aside from their weekly prayer meeting and Sunday service, they don’t have any ongoing organized ministries. They are willing to support our vision for starting a young adult ministry, but we will have to do it from scratch. Location wise, it is one of the strongest prospective churches. As we will visit four more churches, we hope to receive discernment from the Lord.